Open5GCore implements the new 5G components as standalone, independent of the previous 4G EPC functionality. Through this, Open5GCore enables a fast and targeted 5G innovation, hands-on fast implementation and realistic evaluation and demonstration of new concepts and use case opportunities. Open5GCore enables researchers and engineers from operator, vendor and academia, around the world, to understand and to perform practical experimentation and demonstrations on very new pre-standard 5G network capabilities within a realistic running testbed environment. For licensing, research activities and any requests please contact us. 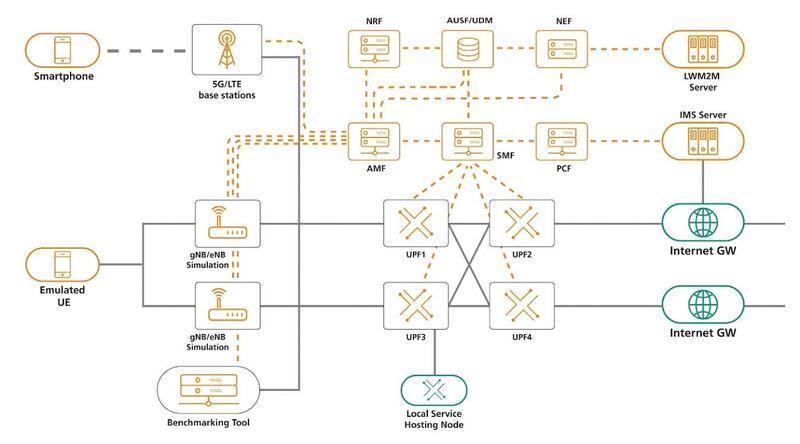 5G research activities and Open5GCore toolkit developments are supported by Fraunhofer FOKUS Competence Center NGNI and by the Techische Universität Berlin (TUB) – AV research group.